2017 is going to be a good year. I can tell from all of the amazing new park models coming out. Mobile Adventurers has seen plenty of modern designs and unique layouts, but this one needs a special spotlight shone on it. Cavco has come out with a 2017 model hat's been dressed to impress – well, on the inside. The exterior is still shiny and new, but the interior is ten times more amazing, and I can't wait to show you! Let's step inside; prepare to be amazed. See? What did I tell you? It's gorgeous! If you had been blindfolded and led into this living room, the blindfold would come off, and you would think you were in a posh Parisian apartment. Even the colors used are just right to make it truly feel like French design. The colors are beautifully balanced in the kitchen. Everything is bright and clean, yet that little spark of blue has been carefully dotted throughout. I'm loving the minimalist coat hanger with the chalk message board. 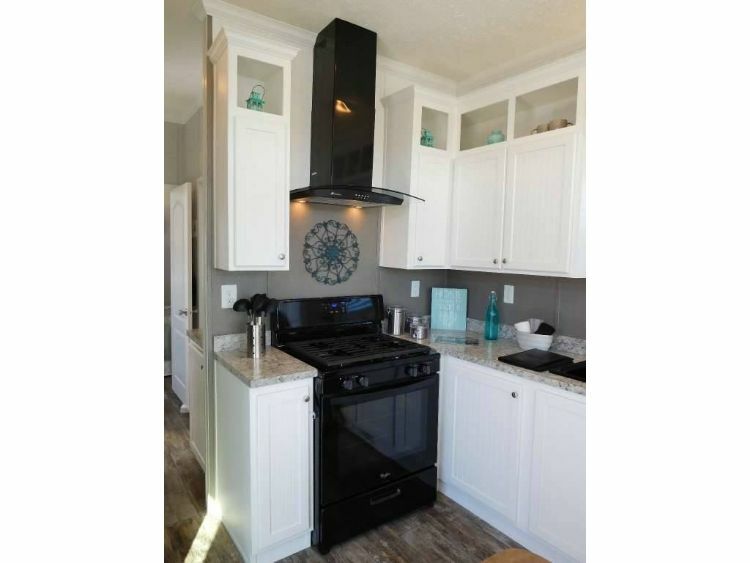 Not many park models have a range hood like this one. It's a European-style stove hood that vents like a champ while cooking. I know I'd be needing one of those with my cooking – there's always a bit of burning involved. I would love this for my cats! 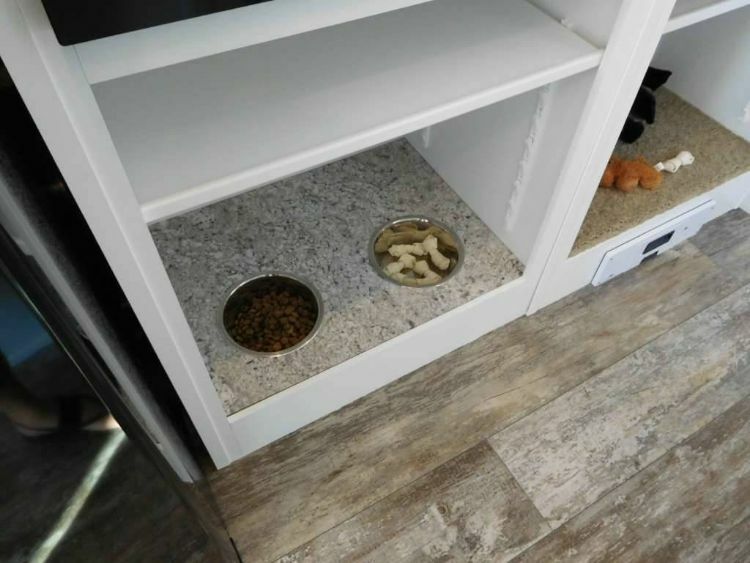 The kitchen has a built-in feeding station for dogs, although it could certainly be used for felines as well. This looks lovely. The open shelving is a nice touch, as is the Paris-themed décor. 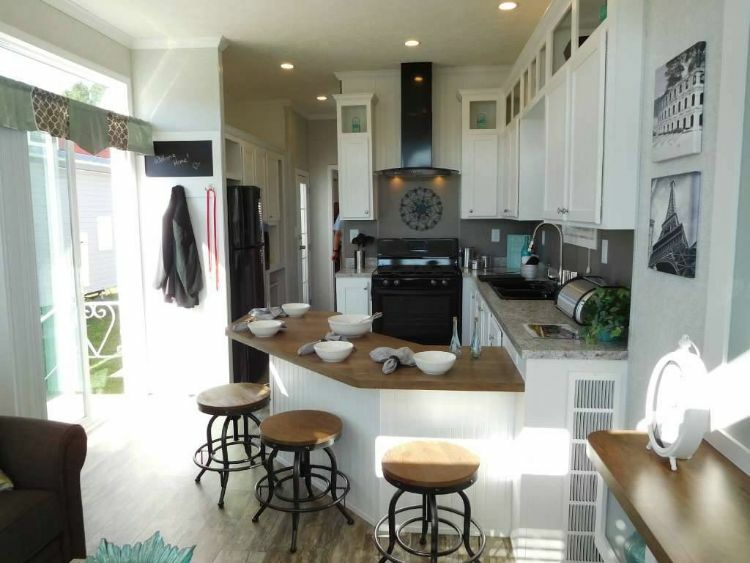 The designers did a nice job of maximizing the space to make it feel less cramped. J'adore! Now THIS is the bedroom of my dreams. The comforter and matching pillowcases are simply darling. 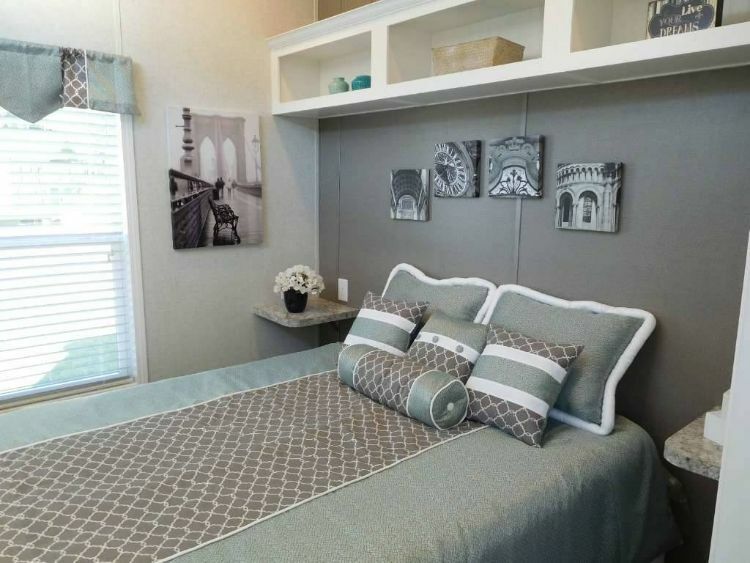 Wall-mounted shelves and two roomy closets make this room a calming comfort to escape to at night. We can't wait for you to share this park model with your family and friends on Facebook and Twitter. 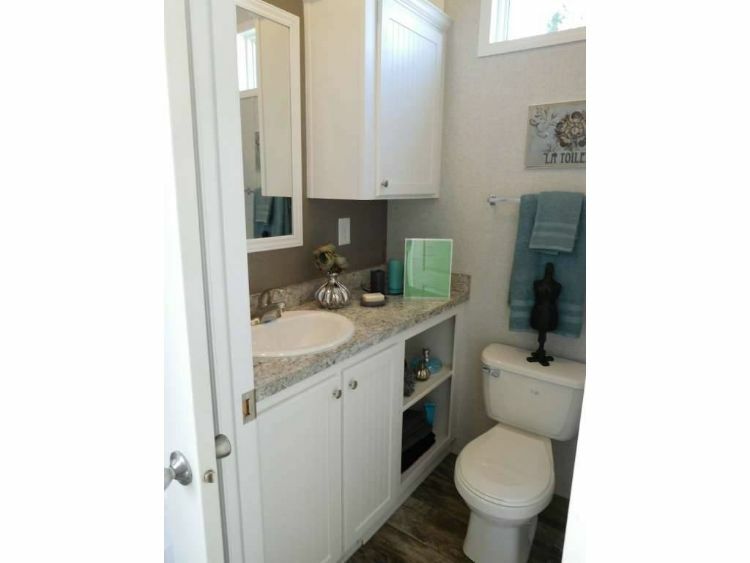 Don't forget to like our Park Model World Facebook page to see more sweet properties like this one! 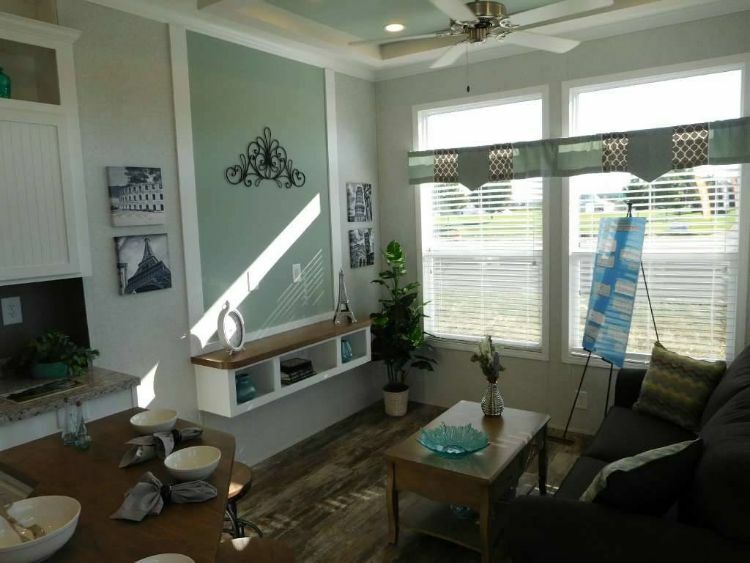 This park model is located in a quiet community and has everything you need for a successful escape from the city. 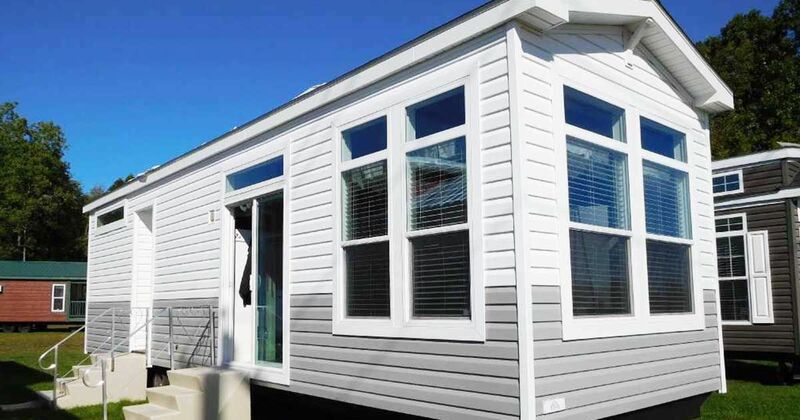 You won't believe what you can see from the bay windows of this park model cabin. The views are extraordinary!